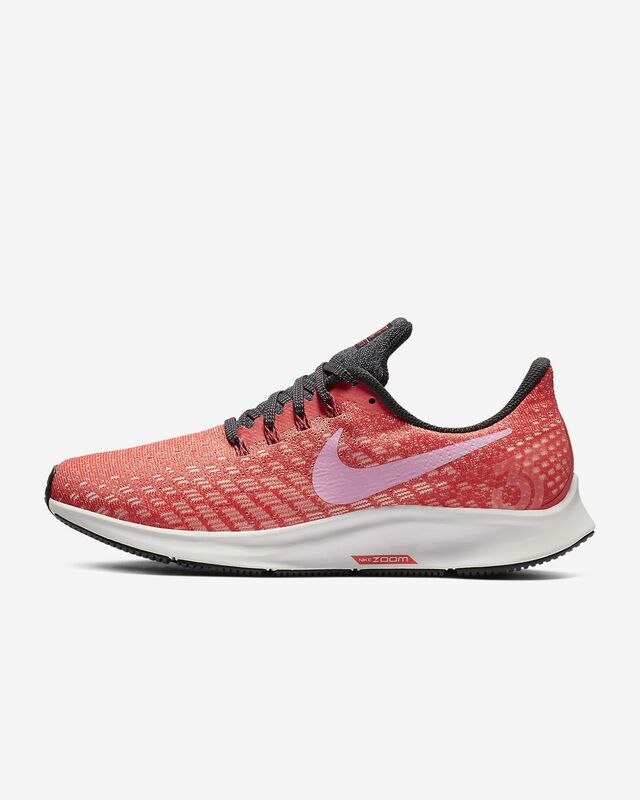 As Nike Air Zoom Pegasus 35 foram reinventadas com uma linguagem de design de velocidade e uma transição rápida e fluida. A unidade Zoom Air e o calcanhar biselado funcionam em conjunto para garantir uma reatividade ideal, enquanto a malha técnica e os cabos Flywire proporcionam fixação com velocidade. A unidade Zoom Air proporciona uma passada fluida e reativa. O calcanhar biselado otimiza o toque inicial e a transição. A malha técnica e o revestimento interior proporcionam uma sensação sustentada. O ilhó na parte inferior foi deslocado para cima para abrir a zona flexível do antepé. No calcanhar, a boca afasta-se do pé para proporcionar conforto à volta do tendão de Aquiles. A palmilha de alta resiliência adapta-se ao formato do pé para oferecer conforto e suporte por baixo do pé. Os pequenos recortes na borracha expõem a sola intermédia em Cushlon e aumentam a flexibilidade da sola exterior. Nike, what did you do? Nike why did you ruin a good thing? I have had at least 10 pairs of the Pegasus running shoes. They always fit like a glove with no break in period. 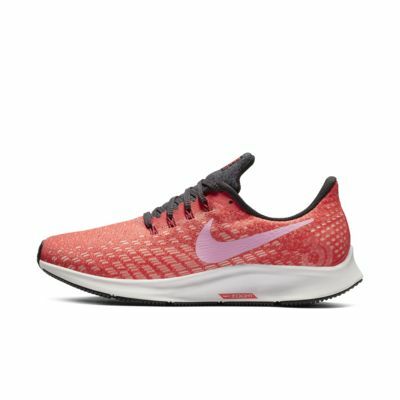 But the Pegasus 35 are cramping my feet. The toe box in extremely tight. I wear a size 10M and have a very narrow heel. Your customer service representative suggested I try a 10.5, which I ordered. However, I fear that the extra length will only cause my heel to slip. So glad I haven’t donated my Pegasus 34s yet! I got this shoe for traveling around for basketball. This is the most comfortable shoe I have ever had. I have even used it to run and lift in. The cushion is wonderful and they do not get dirty. This is saying something since my pair are light grey and white. I recommend buying this shoe. These are the first Nike's I've ever loved. The cushion is amazing and I love the "push off" feeling I get from them. I ran the Chicago Marathon in them and had no blisters or foot pain and they provided great cushion for my knees. I've since moved on to running in Pegasus Turbos, but I kept these to run errands in and wear casually. They still feel great--I got 350 miles out of them before retiring them to a walking shoe, and they still feel as good as they did on day one. Produto disponível em tamanhos mais largos.